Kermit Roosevelt (yes, he is President Theodore Roosevelt’s great-great-grandson) has taken an incident in our country’s history and thrusts the reader straight back in time to explore the inner workings of what to most Americans is a lofty but unknown world, The Supreme Court. Allegiance is his well-drawn legal thriller that brings that period to life and involves the reader totally in its compelling plot. 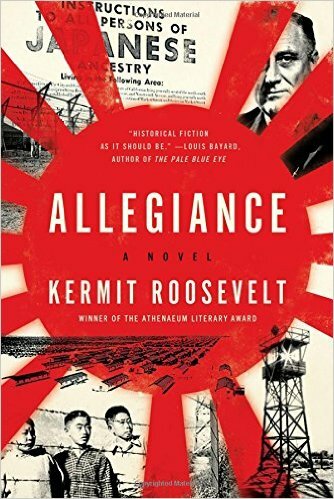 Set during World War II, when then-President Franklin Roosevelt signed an Executive Order that imprisoned Japanese=Americans in war camps, the author cannily focuses on one young Philadelphia lawyer and his experience to personalize and fictionalize that time in our history. Caswell Harrison is known as Cash, and thinks he has his life on a known track, from his girlfriend to law school and after. Then Pearl Harbor occurs, and after flunking the army physical, Cash is given the honor of clerking for Supreme Court Justice Hugo Black. Disappointed in not serving in the army, with his girlfriend unhappy that he is leaving her in Philly for Washington DC, Cash finally is convinced this is how he will serve his country. He’s overwhelmed at first by the paperwork and learning how to fit in, but he soon adjusts, even to playing tennis with Justice Black at his home, where he becomes a substitute son for the justice’s own two enlisted sons. But soon he and a colleague uncover a conspiracy which points at pressure being brought to influence the Court’s decisions regarding these important cases. It’s a difficult thing find evidence to prove, as the cases revolve around the constitutionality of the prison camps where the Japanese-Americans have been interred and documents they have been asked to sign. Then Cash’s friend and colleague dies under suspicious circumstances, and Cash finds himself embroiled in an surreptitious FBI investigation, colluding with J. Edgar Hoover himself to obtain evidence. Along the way Cash will find himself questioning everything he thought he believed in–and everyone he thought he trusted. This could be called a loss of innocence story, and there is certainly that angle to the novel, but it’s more about Cash finding his true self and his values while he finds out just how good a lawyer his can be. There are plenty of figures from history who are portrayed accurately and brought to life bedside Hoover and Black, such as Felix Frankfurter and Francis Biddle. And his exhaustive research informs the law around the cases of Hirabayashi, Korematsu and Endo that formed so much of the lasting history of this time. The time period is reflected accurately, from the clothing to the mores of our culture in the era. It’s a fascinating question that Roosevelt thoughtfully examines through Cash, and readers will easily be caught up this legal thriller that examines one of the worst civil rights violations in our country’s history. Roosevelt’s knowledge and experience include clerking for DC Circuit Judge Stephen Williams and Supreme Court Justice David Souter before becoming a professor of constitutional law and creative writing at the University of Pennsylvania Law School. Laura McHugh’s debute, The Weight of Blood, proved to be an exceptional read, a haunting tale of the Ozarks with a mystery at its heart. 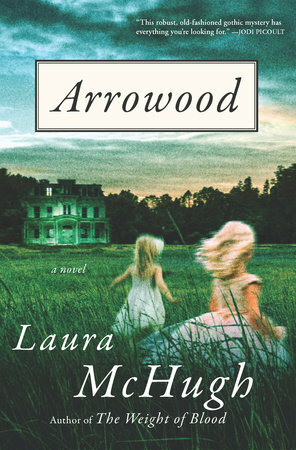 So Auntie M was looking forward to her newest, Arrowood, set in Keokuk, Iowa, and she is happy to report this second book exhibits the same strengths that made McHugh’s debut outstanding. There is the compelling setup and plot; the characters and depths of human nature she plumbs; the way the setting becomes integrated to be a character itself. McHugh captures the lazy feel and slow deterioration of the southern Iowa town on the Mississippi, a town where protagonist Arden was raised, that once featured ornate and lovely grand houses lining the road along the riverside but now has the feel of something dying. It’s to her recently inherited family home that Arden returns after the death of her father, abandoning her unfinished Master’s thesis in the process. Though the dust and leaks, the bones of the old house are still fine, and she sets about trying to recapture a part of the childhood she holds in her memory, the years before her younger twin sisters were kidnapped and presumed dead. 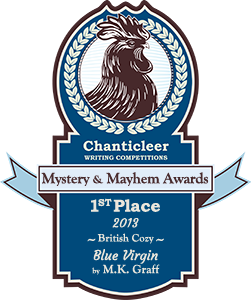 Tabitha and Violet had never surfaced, and twenty years have passed with Arden’s memory giving her a snapshot of a gold car pulling away from the curb in the front of her house, a flash of white she assumed was her sister’s hair in the front seat. It’s a mystery that has never been solved, but part of Arden’s quest to return to her old home is to lay to rest the ghosts of that awful sunny day. Arden will find, to her surprise, that some of her former neighbors and friends have never left the area and she wonders if she can rekindle old relationships. She will become suspicious of the new man who claims to be obsessed with unsolved crimes and is writing a book about her lost sisters. She will worry that the handyman who’s been caring for and preserving the house all of these years is hiding his own secrets. Most of all, she will find that beneath the dust and the haze of her own memories of that day, lie more secrets than she could ever have guessed. Auntie M’s writer friend, Linda Lovely, is from Keokuk, so she was familiar with the name and a bit of the area and its history. Under McHugh’s talented writing, the whole area comes to life in a sleepy way that is characteristic of towns succumbing to the ravages of time and slowed economics. The suspense almost has a creepy value to it, in a mild way, but one that sustains the tension of suspense, hovering just under the surface: are the dead sisters trying to send Arden clues? But this is not a ghost story. 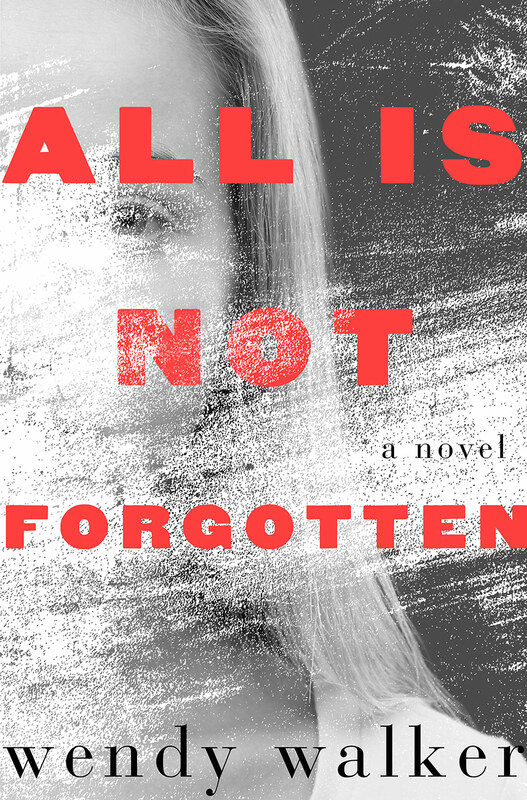 It is, instead, the story of a brave young woman trying to unravel what is real and what is not in her memory, as she tries to put her own ghosts to rest. The startling conclusion makes sense in a way that probes the psychology of Arden’s family and friends. Highly recommended. Today’s group all have Asian settings. The unfamiliar names may take getting used to, but the complex plots and mysteries don’t require translation. 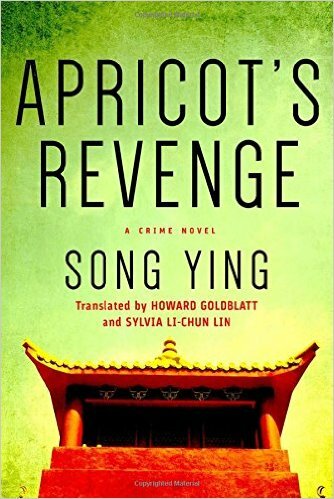 Apricot’s Revenge by Song Ying, is a nice mix of police procedural with an amateur sleuth who arrives in the form of investigative reporter Nie Feng, who owns a poodle names Yahoo. But that’s where the levity ends. When a real estate magnate is found dead on a beach, it’s assumed he suffered a heart attack while swimming. It’s only when murder becomes clear that three main suspects rise to the police’s attention–until one of those three is found with a desk drawerful of death threats that accompany his body. 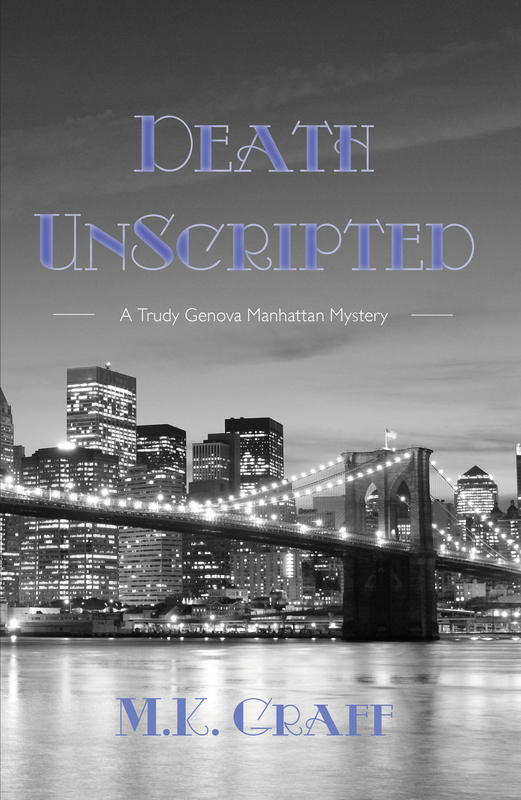 It will take the steady diligence of the young reporter who had just interviewed the first victim a few days before his death to unearth a new suspect, one with a motive that centers around revenge and a tragic historical event. Sing is an award-winning author is China in fiction and nonfiction. Singapore comes alive under the pen of playwright Ovidia Yu and her Aunty Lee series. 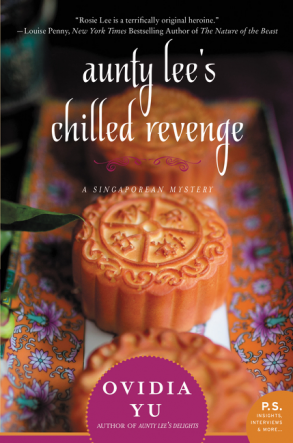 This time it’s Aunty Lee’s Chilled Revenge that brings a hearty does of Singapore culture and foods along with its humor. The queen of cozy sleuth and chef at Aunty Lee’s Delights agrees to be sidelined to take it easy after she sprains an ankle. Her partner Cherril and stepdaughter-in-law Selina take over the running of the cafe. But readers who know Aunty Lee know she just can’t keep herself from snooping when a person from the past is found dead in her hotel room: a woman they call the “puppy killer,” with good reason. The dead woman’s return to the area was to file a lawsuit against Cherril and two other Animal ReHomers, claiming they had caused her husband to divorce her. Inspt. Salim Mawar and his team reappear in the investigation. After the past cases they’ve worked on, the Inspector is aware not only of Aunty Lee’s cooking delights but her sleuthing skills. With the dead woman’s sister causing hysterics, it’s enough to make Aunty Lee pop into the kitchen for a new batch of cookies. And yes, there are recipes. Travel to Japan for the first American translation in what is a long-inning series there. 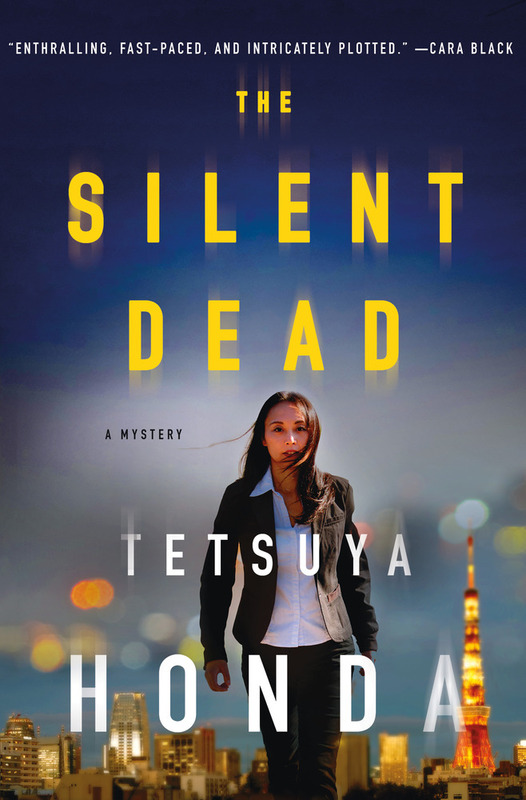 The Silent Dead is the first in Tetsuya Honda’s hit series, already made into television series and movies. Heiko Himekawa is the young police detective in Tokyo who constantly must prove herself to her colleagues and superiors. This complex mystery starts with a body being discovered in bushes in a quiet Tokyo suburb. Wrapped in a blue tarp, tied with twine, the victim has been murdered in such a bizarre way that Reiko immediately thinks this is the signature of a serial killer. Once she hits on this thought, Reiko must prove it, and prove it she does, as the bodies start to pile up, some unrecognizable by now. The ones that are identified seem to have no known connection to each other–until a website that calls itself “Strawberry Night” comes to their attention, and everything the police team think they know will change. A look at the world of Japanese culture and their policing system, with Reiko an intriguing character whose backstory provides a link to her nature for detecting. 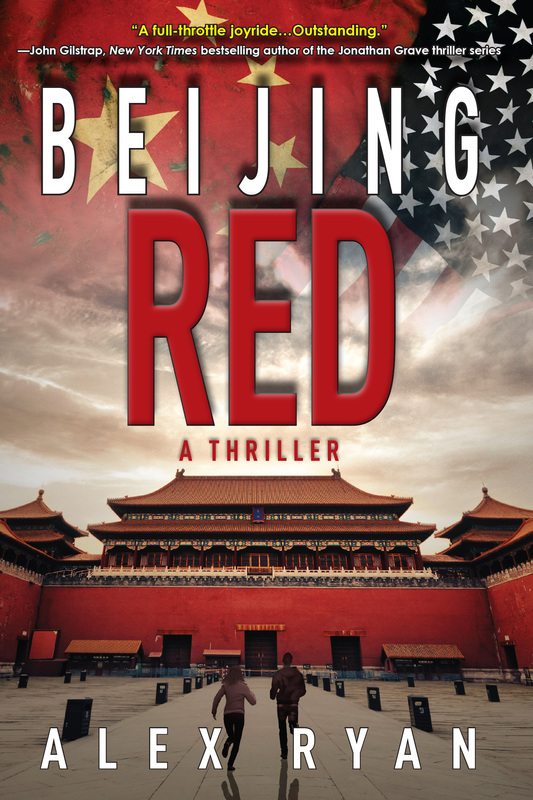 Two Navy vets writing as Alex Ryan have drawn from their experiences and combined taut action to produce the new thriller Beijing Red. Nick Foley is an ex-Navy SEAL, working in China on a water irrigation system for his own purposes when he becomes engaged in a conspiracy of the highest order. A bio-terrorism outbreak in western China somehow points to Nick as the leader behind this and he’s suddenly on the run to clear his name. The Chinese CDC, nanobots, China’s elite Snow Leopard counter-terroism until all come into play, as does the microbiologist Dr. Dazhong Chen. Suddenly Nick realizes he has a purpose and an ally. Action-packed in a race against time, the duo must find the real perpetrators while convincing the Snow Leopard chiefs that Nick is not trying to bring the Chinese population down. First in a series, with Hong Kong Black–and the lovely Dash–to follow. One to watch for action fans. 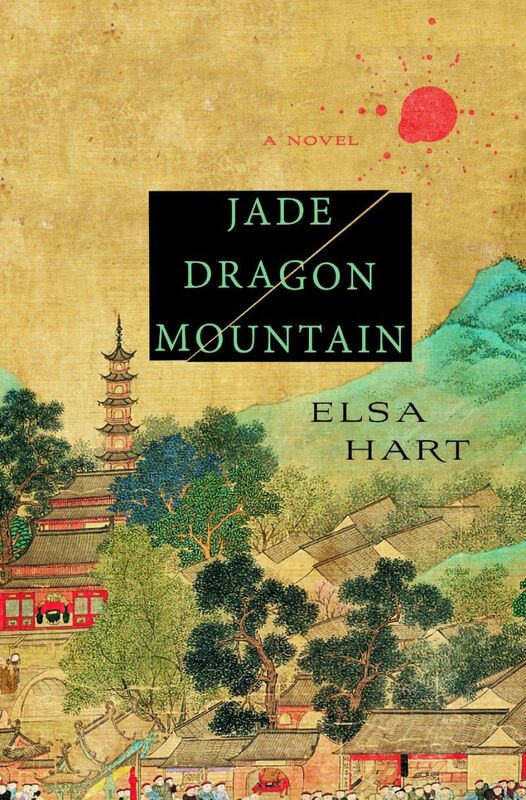 Elsa Hart’s debut last year, now in paperback, Jade Dragon Mountain, introduced readers to the complex world of southwest China of 1708. Vintage China’s popularity as a setting is evident with recent titles like The Secret Language of Women by Nina Romano, set during The Boxer Rebellion, each conveying the same level of diligent research combined with elegant lyrical language and customs of their era. Hart’s story in what is really an historical murder mystery has an exiled nomadic librarian as its sleuth. Li Du travels to Dayan, near Tibet, to stay with his magistrate cousin in preparation for the emperor’s visit during an expected eclipse. That’s when a Jesuit astronomer is found dead and Li Du must help his cousin by finding the real murderer. With real insight into the era, 18th century China comes alive under Hart’s literary turn. Hart’s new release, The White Mirror,finds Li Du traveling to Lhasa, joining up with a tea caravan on their way. A sudden sleet storm takes them all by surprise, and when they stop their horses, Li Du sees a Tibetan monk sitting perfectly still beside a stream on a bridge leading to the only shelter in the area. On closer inspection, the meditating monk is revealed to be murdered, stabbed to death. A white mirror has been painted on the front of his robe, Li Du’s first clue. With the sleet turning to snow, the group take their shelter at the home of the wealthy Doso and his assorted team of characters and family staying there. This is a mixed group and one that is finely drawn, as is the setting. What starts out as a group stranded in a snowstorm, and the death of one lama, soon turns into a full-fledged murder investigation. There are several characters with strong motives who might want the death of the lama. Despite the remote setting, the murder is soon linked to reasons that has far-reaching implications. With an ally in Hamza, the storyteller, to keep the company engaged so Li Du can slip away to conduct his investigations, the mystery soon is unravelled. This is a mystery where the reader knows everything Li Du does, so it’s fair play. The question is if the reader can put the clues together the way they need to be to figure out the identity of the killer. 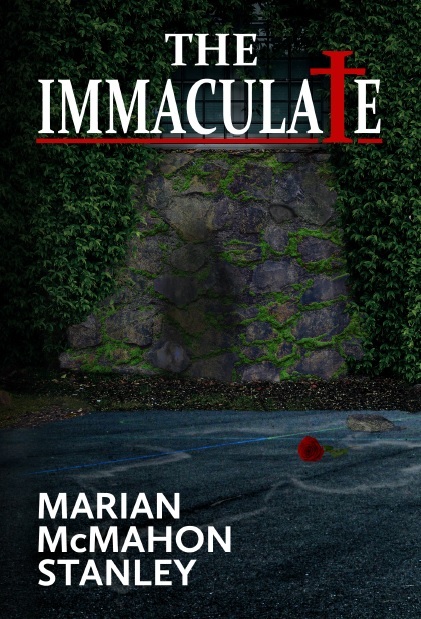 Boston is a great setting for a mystery novel like The Immaculate – a story about the murder of an elderly nun and the unholy alliance that did her in. Rich in history, ethnic neighborhoods, political intrigue and, at the time of the story, an ecclesiastical structure tightly tied to powerful civic interests – the city is a gift to any writer. Sister Mary Aurelius – secretly called Spike by her students because she could be tough – burned with a mysterious mission she was determined to complete before she died. But Aurelius is murdered before she can. Rosaria O’Reilly, a former student who’d left the old neighborhood for a very different kind of life, comes back for the nun’s final services. There, she finds herself drawn further and further into this murder case where nothing is as it seems. At great personal risk to herself and others, Rosaria commits to finishing Sister’s dangerous mission. She does so, but in the process, her own sense of herself is changed forever. The feel of the red bricks on the wall of the old-line parochial school where Aurelius is murdered. 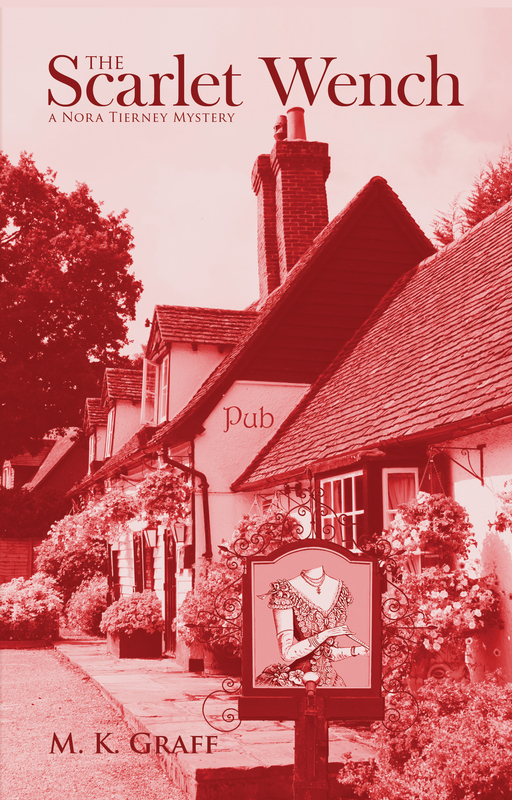 Rich locations are like additional interesting characters in our stories. I’d like to think that worked in The Immaculate. Available at Barking Rain Press, Amazon, Barnes and Noble and selected bookstores. 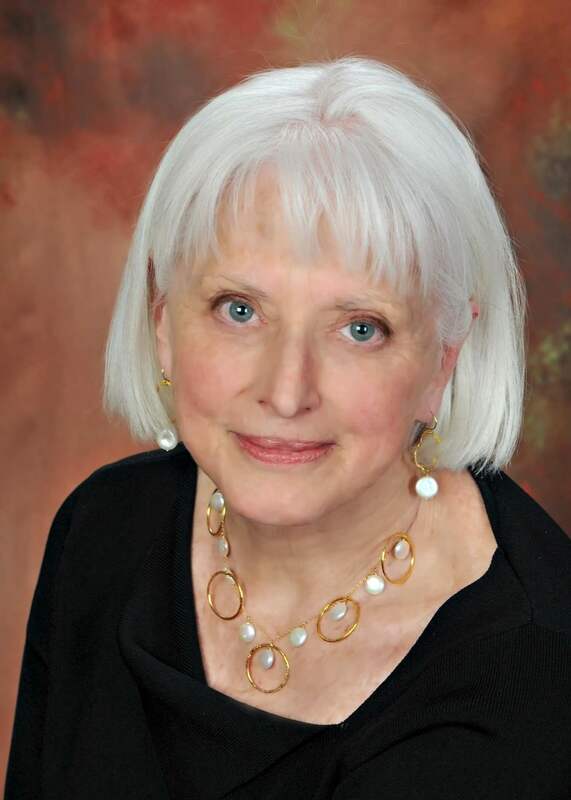 MARIAN MCMAHON STANLEY: Like her protagonist, Marian McMahon Stanley enjoyed an international corporate career with a Fortune 500 company and, more recently, a senior position at a large, urban university. A dual citizen of the Untied States and Ireland, she is a proud mother and grandmother of four adult children and a growing number of grandchildren. Marian writes in a small town outside Boston where she lives with her husband Bill and – just as in The Immaculate – a Westie named Archie. the author of very successful novel. garden path and we are left to reel in shock at the deceit that was played out. one, either. In her case, it all starts out as a favour to a friend. Put that way, if you were asked to put your name to a novel you didn’t write, would you? done, there are TV interviews lined up, magazine profiles wanting to be written. Would you be Jill Emerson? Rosamond Smith? Robert Galbraith? his nephew to front up and pretend to be “Ajar”. out publicly and revealed the duplicity. or someone who lies about being a writer. by the expectations of fame and genre. Would Emma be willing? traditionally sell little on the commercial front. and hailed as one of the most talented authors of her generation. And now, Beatrice wants her novel back. 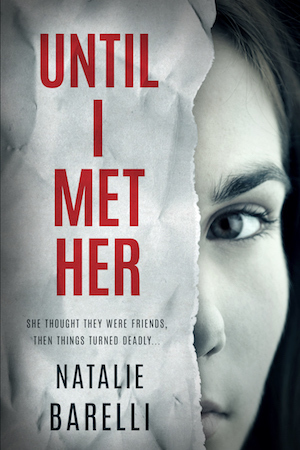 You will usually find Natalie Barelli reading a book, and that book will more likely than not be a psychological thriller. When not absorbed in the latest gripping page-turner, Natalie works as an IT professional, loves cooking when she has the time, knits very badly and spends far too much time at the computer. She lives in rural NSW, in Australia. Until I Met Her is her first novel. Kate Rhodes’ Alice Quentin series is one of Auntie M’s favorites, well-crafted books with realistic characters. She gobbles them up and then has to wait for the next exciting installment. 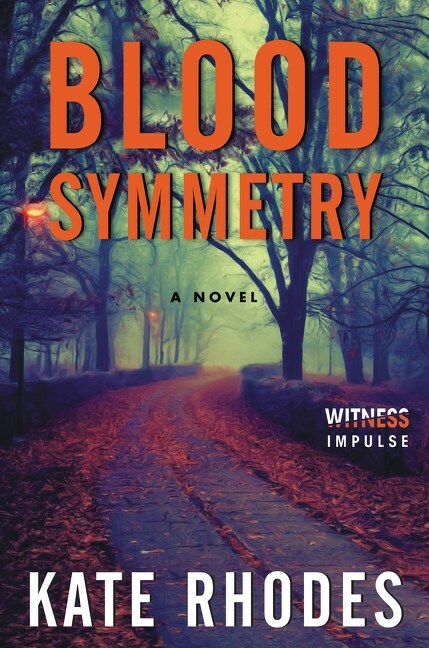 Blood Symmetry follows her pattern of constructing a complex plot, mixed with compelling characters, thrown into a multi-layered tale that will have readers flipping pages long after the light should be turned out–and then impatiently waiting for the next one. Alice is a plucky forensic psychologist you must adore if you’ve read any of the others, and now that her relationship with DCI Burns has solidified to a more personal connection, you’ll like her even more as she navigates the kind of union she never expected she’d be having on more than a superficial level. Readers will be privy to more of Burns, too, a nice addition as he tries to understand Alice, even as he knows she’s the one person who can help him on his current case. Her brief will be to when profiling what is determined to be a pair of criminals, and help unlock the memories of its prime witness. Hematologist Clare Riordan and her son Mikey are out for a run on Clapham Common when they are abducted by a couple. Mikey manages to escape, but is so traumatized he’s mostly mute and barely readable. While Alice tries to profile the abductors, she also spends time at Mikey’s safe house to uncover his memories. Alice’s perceptiveness to Mikey and the clues he give us allow us to feel for this child, who hopes desperately to be reunited with his mother even as he fears she’s dead. As bags of Claire’s blood turn up at different sites, it soon becomes apparent her demise may not be that far off. Besides being drained slowly of her blood, hers is being tainted with drugs that will kill her. Rhodes’ meticulous research stands her in good stead, and her author’s note at the end of the book explains her personal connection to tell this story. Interspersed with Alice and Burns’ chapters are shorter ones of those of the abductors, bizarre and filled with urgency, adding to the tension. Will Claire be found before she’s killed? What is the significance of the sites where her blood is being left? 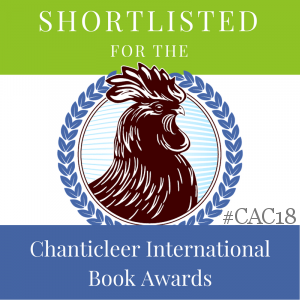 And then a second hematologist is found dead, and all bets are off as Alice and Burns step up their pace to find who is behind this–and why. Another sparkling entry in the Alice Quentin series. And yes, Auntie M is already pining for the next. Highly recommended. Belfast McGrath is getting over a rough time, personally and professionally. What’s a fired chef to do but head home to her Irish-American family in Foster’s Landing. Their large manor house is a professional events location, famed for weddings, and before Bel knows it, she’s the maid of honor at her cousin Caleigh’s wedding. The fact that she’s getting over her own broken engagement notwithstanding, things are far more complicated when Bel learns that Caleigh had a one-night stand two nights before her ceremony. And they zoom out of proportion when said lover falls from a balcony during the reception, landing right in front of Bel. Great. Now she’s not only a witness to what she consider a murder, the lead detective turns out to be her old high school sweetheart, Kevin Hanson. Bel knows her own past mistakes still haunt her, and to add to the complications, her parents start acting strange and she’s asked to take on their catering kitchen when the head chef quits in a snit. Not what a one-star Michelin chef had in mind. But family means helping out, and while she’s whipping their kitchen into shape, Bel tries to figure out what all the secrets are that everyone’s keeping–and what that has to do with a killer who suddenly sets his sights on Bel. This is a delightful romp, filled with humor and hints of romance, the first in a series featuring Bel and her extended family. 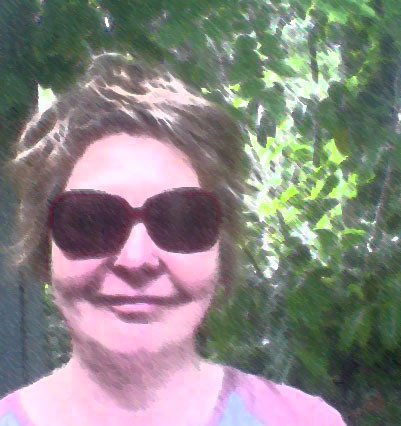 Auntie M is a huge fan of the Maeve Conlon suspense novels Maggies writes as Maggie Barbieri. This series will be a bit lighter and hits more on the cozy side of things, perfect for summer reading. 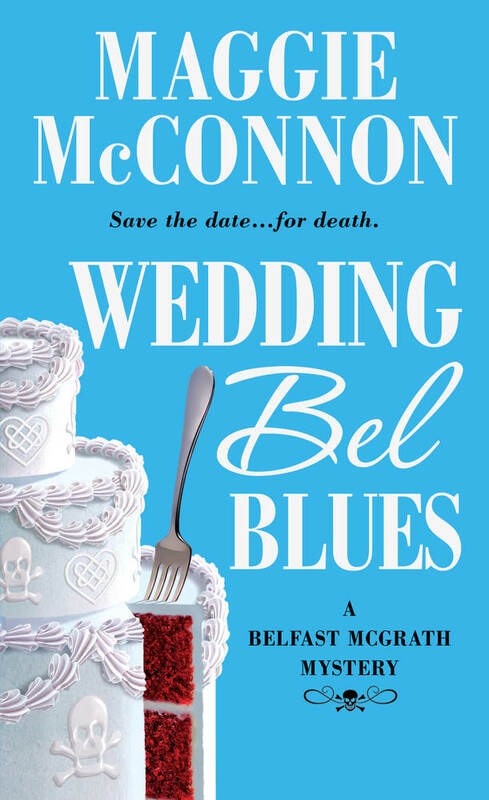 McConnon’s own Irish family and their stories inform her knowledge, but the humor is all her own.